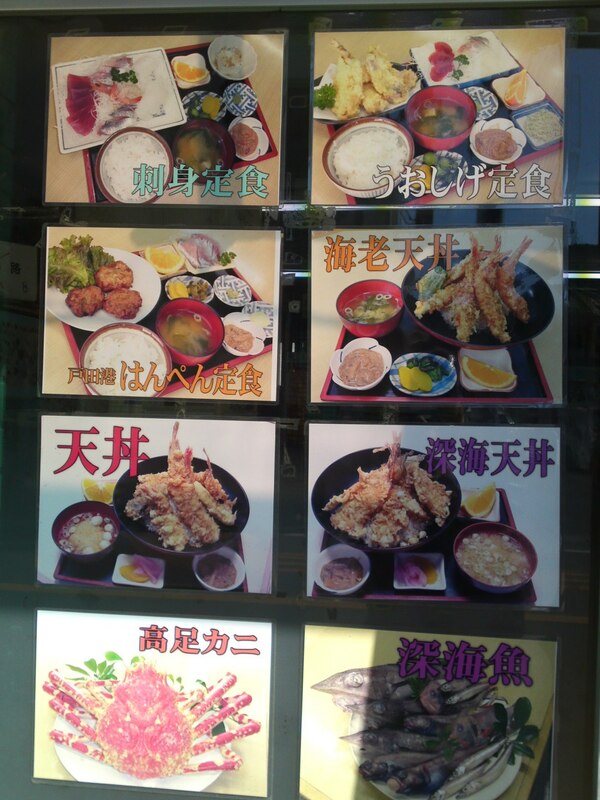 Deep-sea Fish Restaurant: Uoshige in Heda, Izu Peninsula! Equipment: Old and basic. This is real rural Japan! 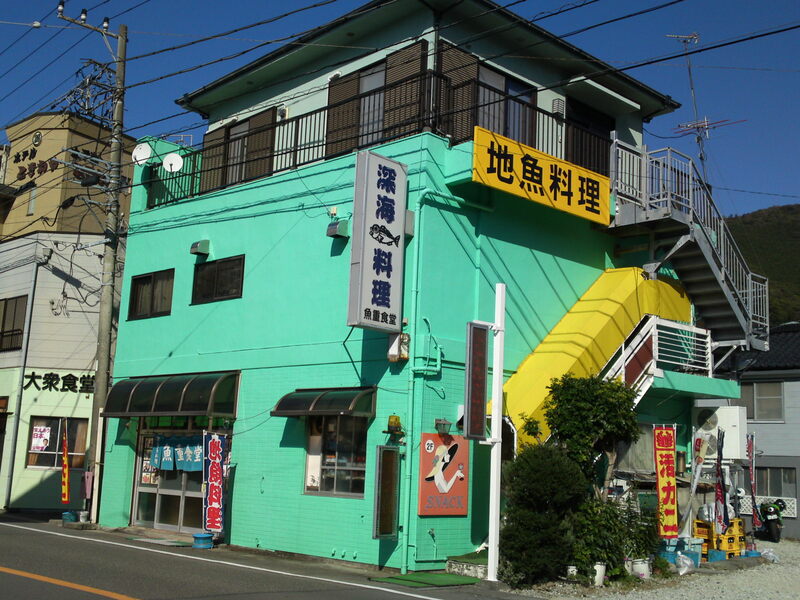 The small but very efficient Heda Tourism Office will provide you with all kinds of information including the full list of restaurants serving the real local food! 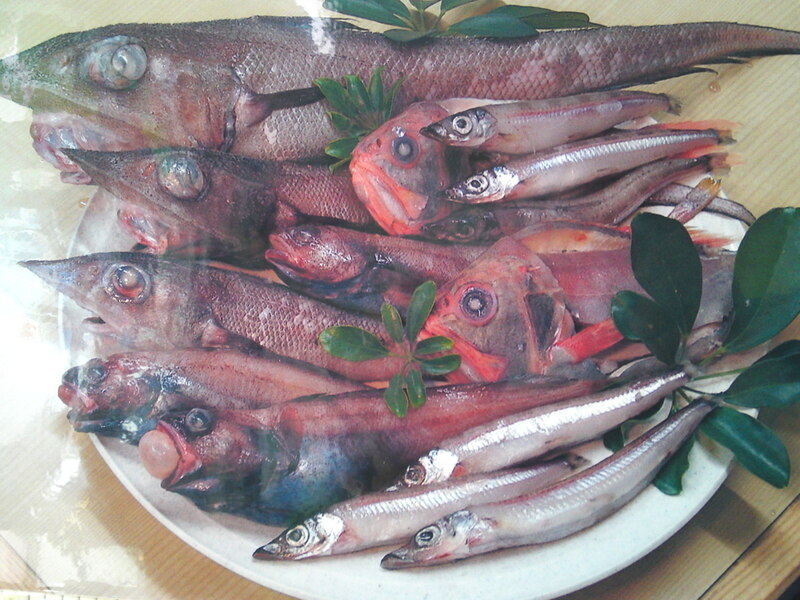 And the local food includes a true local specialty: deep-sea fish! 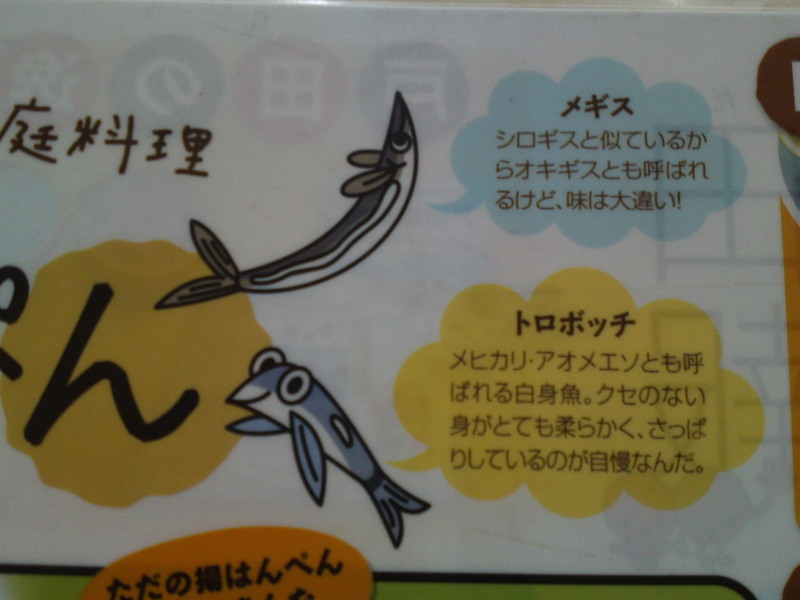 Some time ago the locals decided to create their own brand of “hanpen/はんぺん/fish patty with the deep-fish caught in their nets chasing other fish. Throwing back these fish into the sea was simply stupid waste and unecological. 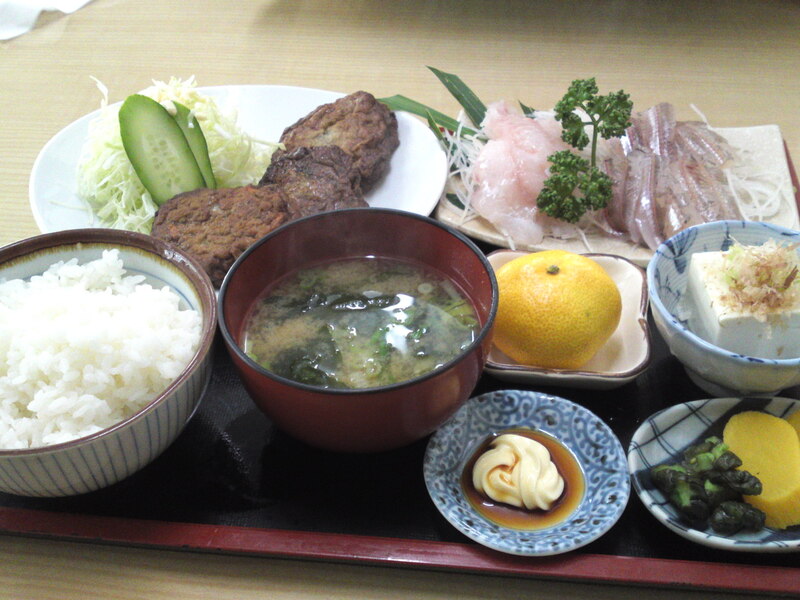 Some of them found their way on the plates in the form of succulent and rare sashimi or deep-fried fish but the rest were minced and mixed with local vegetables into patties to be first deep-fried into “hedatoro hanpen/ヘダトロはんぺん/Heda Fish Patties before being served cold or heated! The other reason, would you believe, was to find a way to have children eat vegetables! These Hedatoro Hanpen of course are made in every home according to individual recipes! We decided to visit Uoshige among the 8 recommended restaurants because we found that it was a meeting point popular with bikers who come in great numbers to enjoy the roads and views of Izu Peninsula! 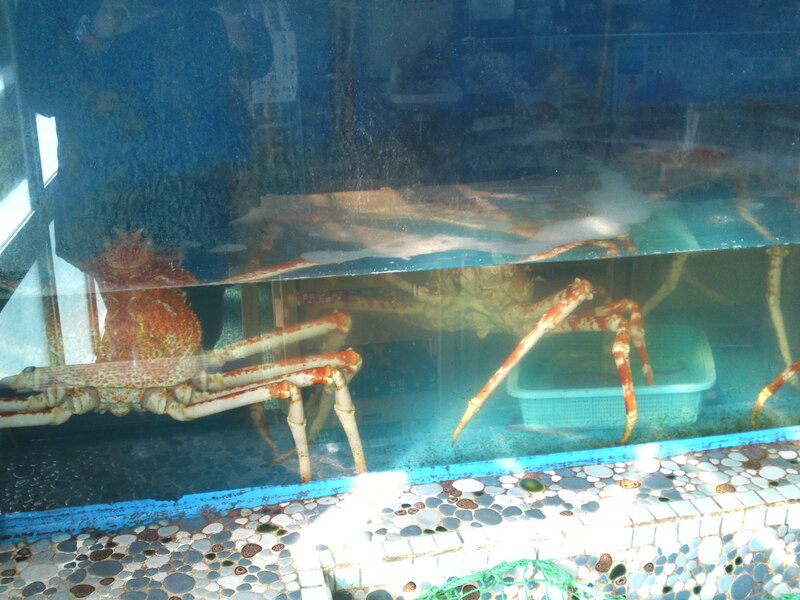 Live Takaashigani/高足蟹/Japanese Spider Crabs in the aquarium just as you enter the establishment! 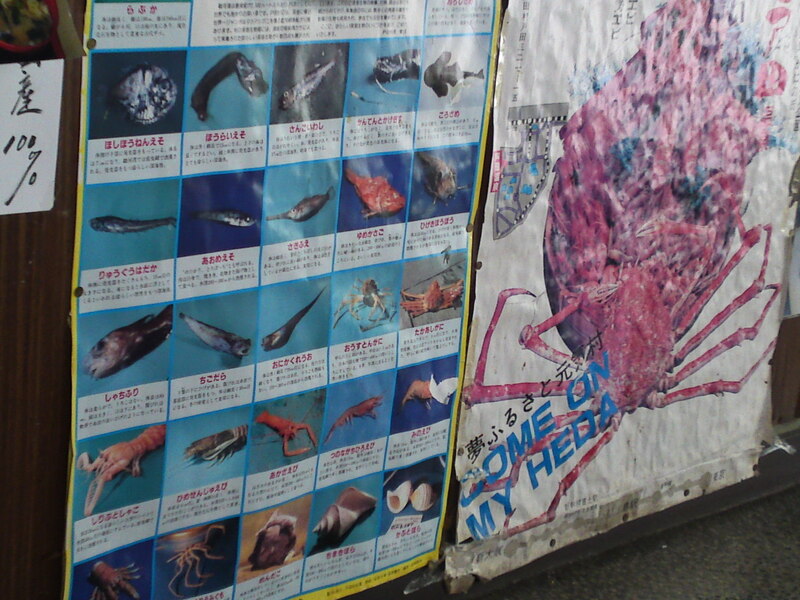 Poster of the local deep sea food served according to seasons! 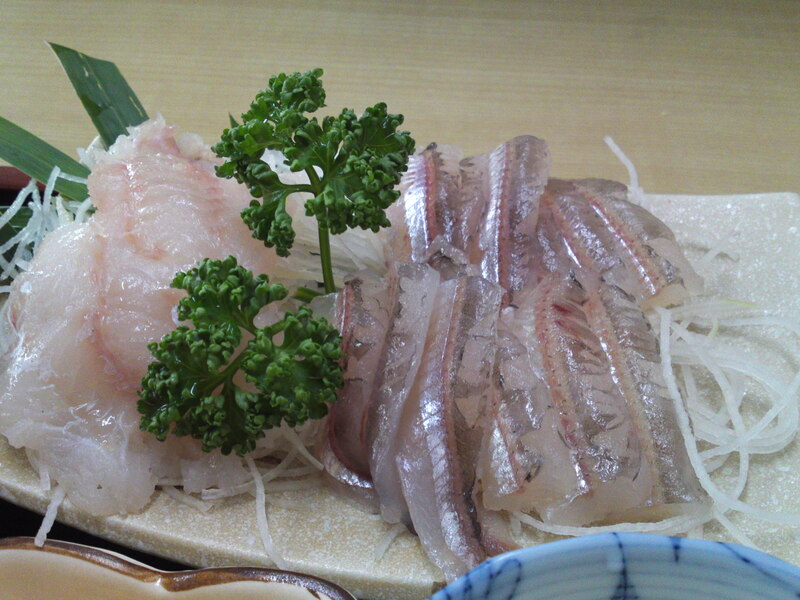 I ordered deep-sea fish sashimi set lunch! All meals are served with “shiokara/塩辛/preserved salted squid”, but they were kind enough to serve my lunch without it as this is one of the very rare foods in Japan that don’t agree with me! 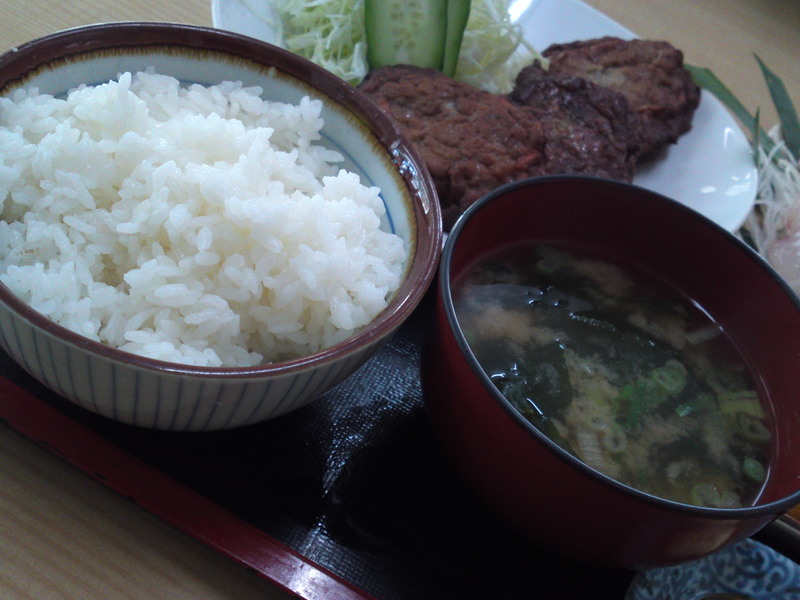 Freshly steamed rice and beautiful miso soup full of local seaweed! The sashimi that you will not find anywhere else! 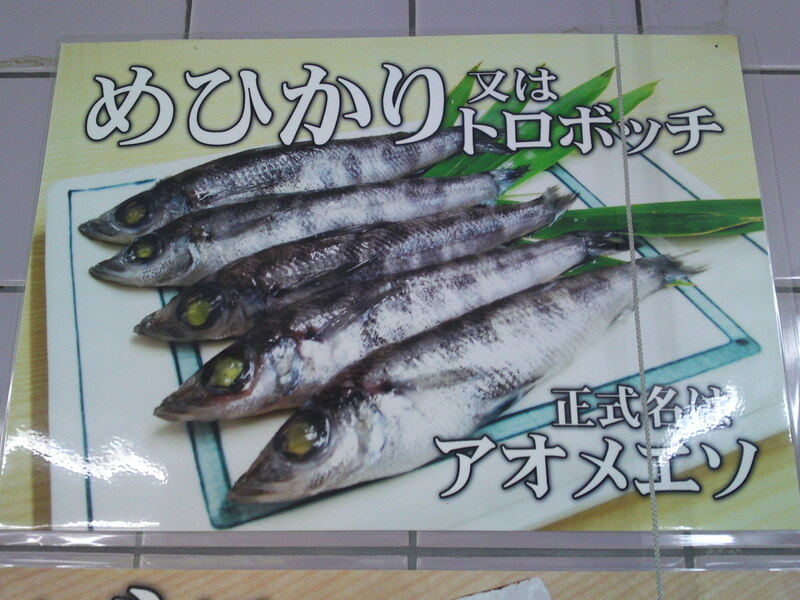 On the left very tender, “Mehikari or Torobchi/めひかり・トロボチ/Brighteye” and on the right both tender and crispy with fine soft bones, “Megisu/めぎす/Large-eye Sillago”! 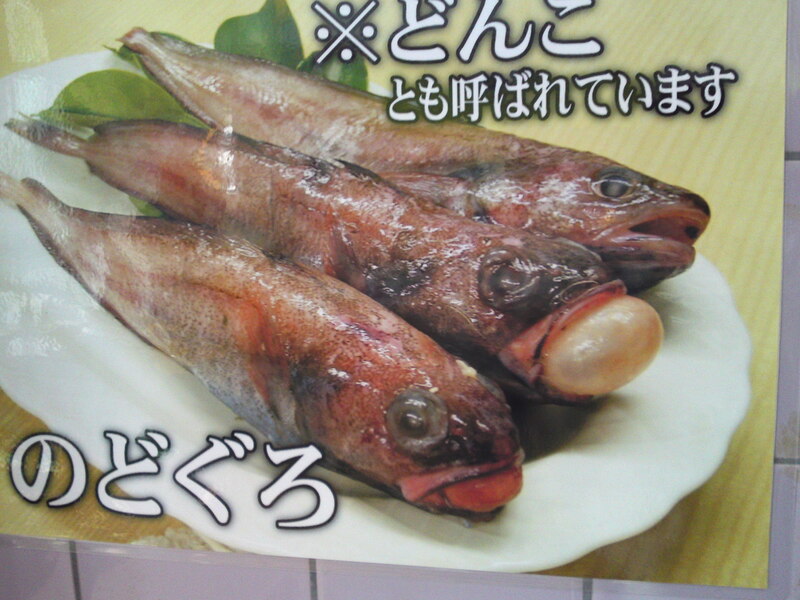 The Hedatoro Hanpen/Heda Deep-Sea Fish Patties! 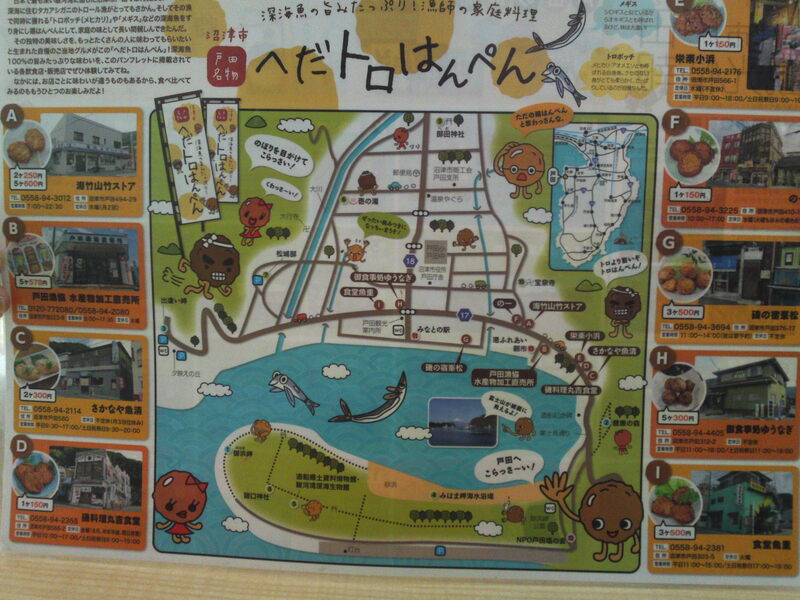 They even have a leaflet all over town introducing the 10 restaurants and shops serving/selling them! 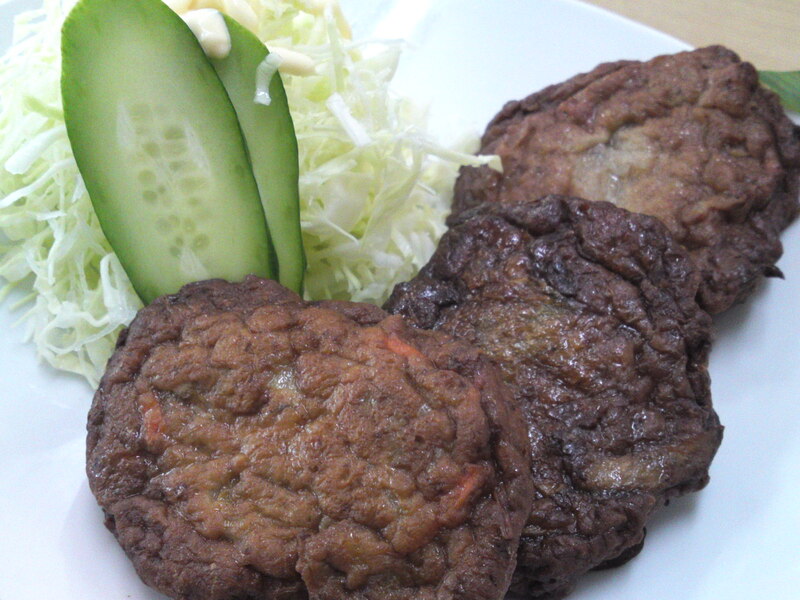 Uoshige’s patties are arguably the most celebrated as many TV Channels came all the way to report on them. Very light, tender, healthy and so yummy! 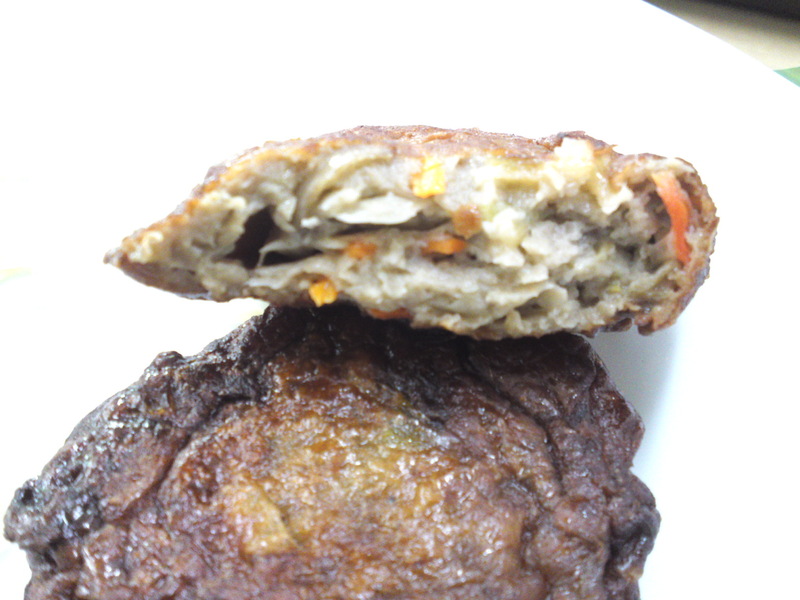 These patties are also made with “Mehikari or Torobchi/めひかり・トロボチ/Brighteye” and “Megisu/めぎす/Large-eye Sillago”! 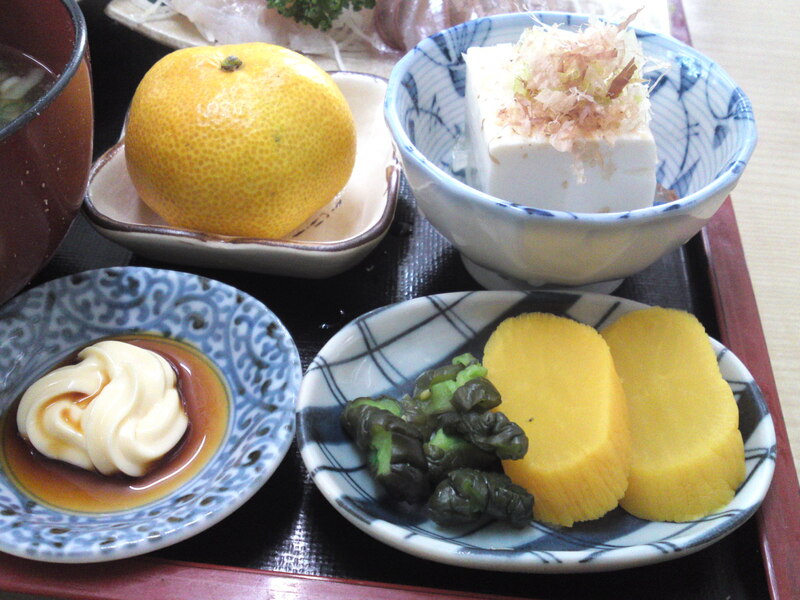 Tofu, o-shinko/Japanese pickles and local mandarine to finish! 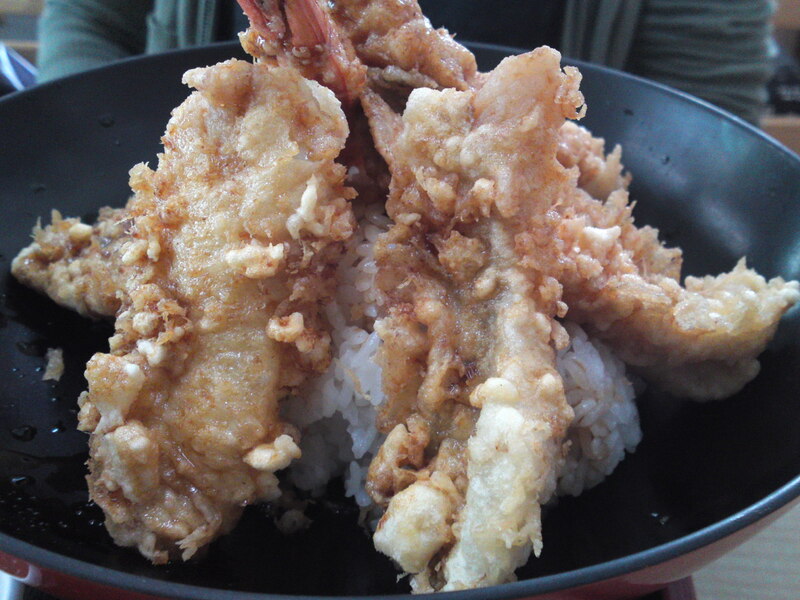 The Missus had the enormous Tendon/天丼/Tempura Bowl Lunch Set. I did have to help her finish it! 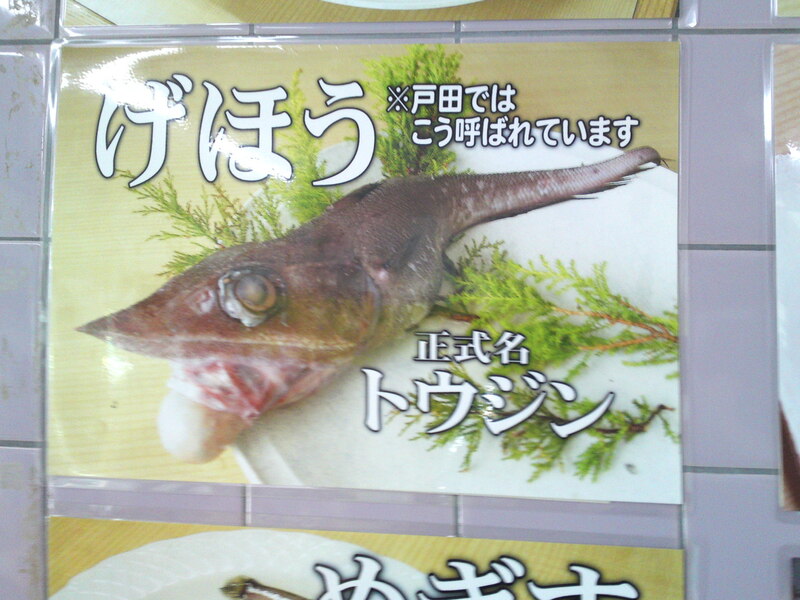 Gehou/げほう, or officially Toujin/トウジン/Caelorinchus japonicus (Temminnck and Schlegel)! 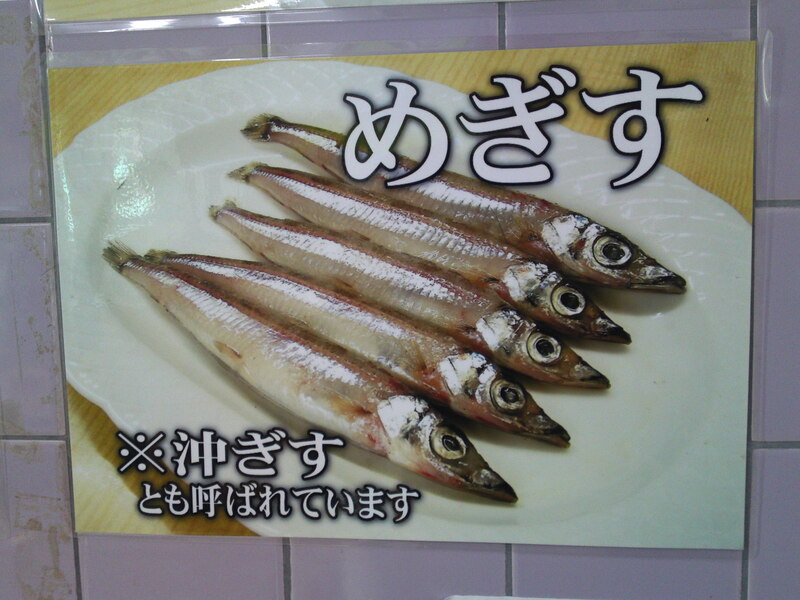 Donko/どんこ, or officially Nodoguro/のどぐろ/ I could not find the Latin name, rare as it is! Succulent little monsters that many a Japanese wouldn’t mind crossing the country to taste! If I have not convinced you yet to visit Heda, look forward to more articles very soon! 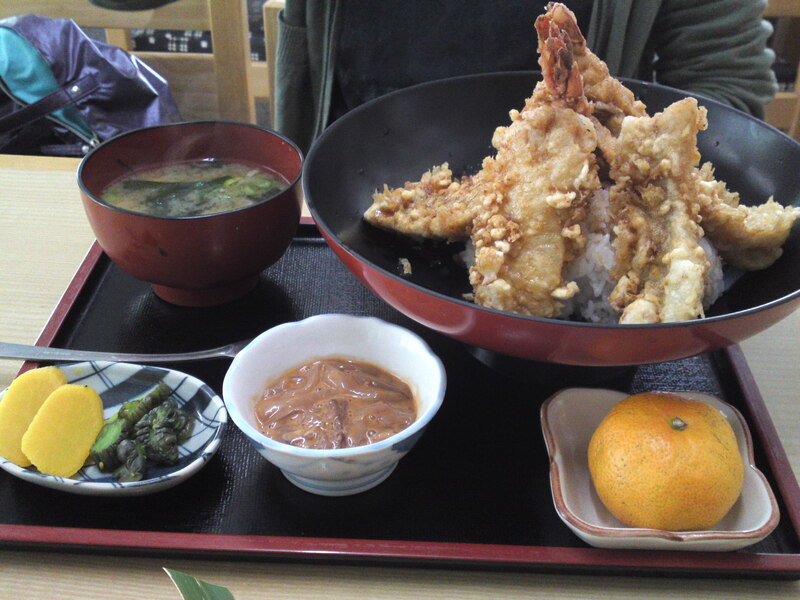 Previous PostShizuoka Seafood: Heda Fishmarket in Izu Peninsula!Next PostToday’s Bento/Lunch Box (11/59): Sakura Inari Sushi & Sakura Ebi Tamagoyaki Bento!